THIS is the Week All is Fair!! The odds that life will be fair are 52:1 and THIS is your chance to ride the long odds and be a winner…”winner, winner chicken dinner”, in fact! You can also ride the Merry-Go-Round, it will stop and you can get off!! This week you can also feel like a kid again, buy the world’s best hot beef sandwich, take a chance at losing a filling on that taffy and/or caramel apple and basically experience a time warp. 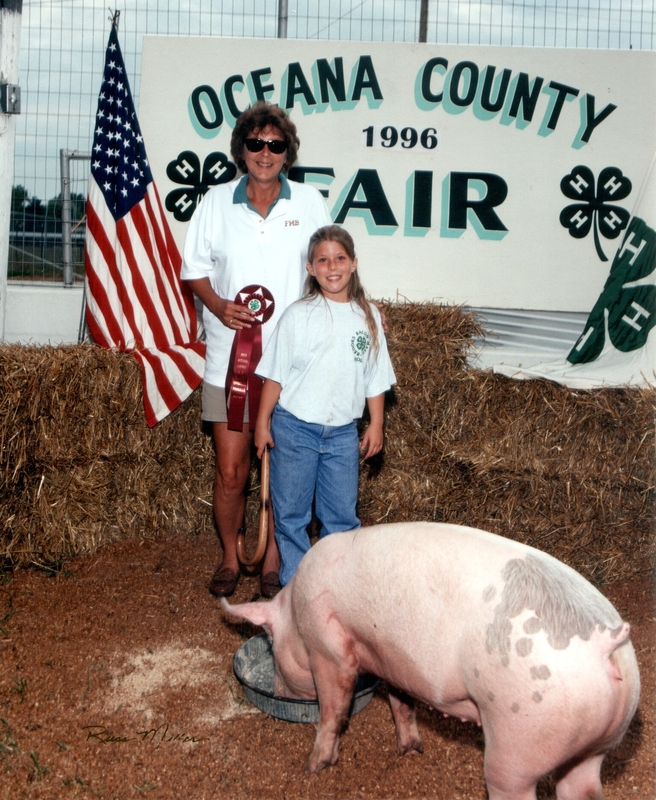 This week is the 144th Annual Oceana County Fair. Although of course time marches on and everything changes, somehow when you enter the main gate at the OC fairgrounds, it could well be the 1970’s! 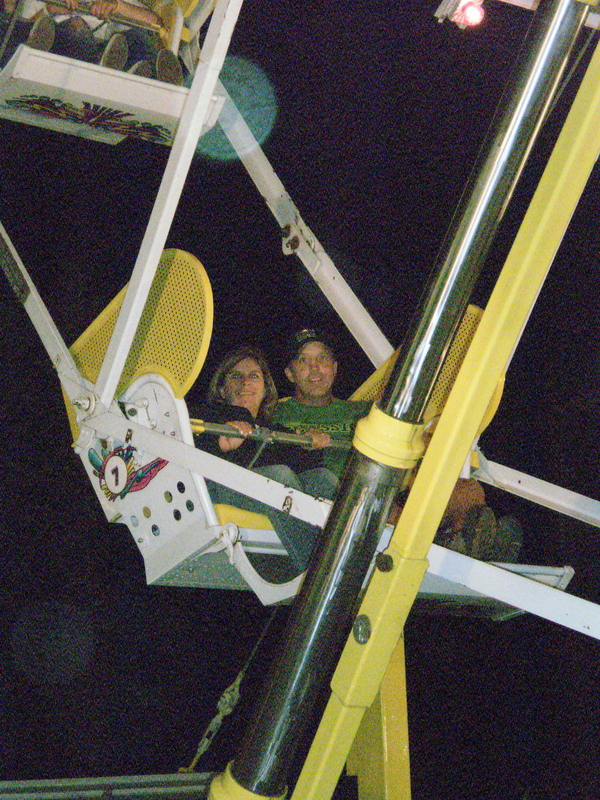 Or fill in the decade that brings back your memories of Fair Days gone by. 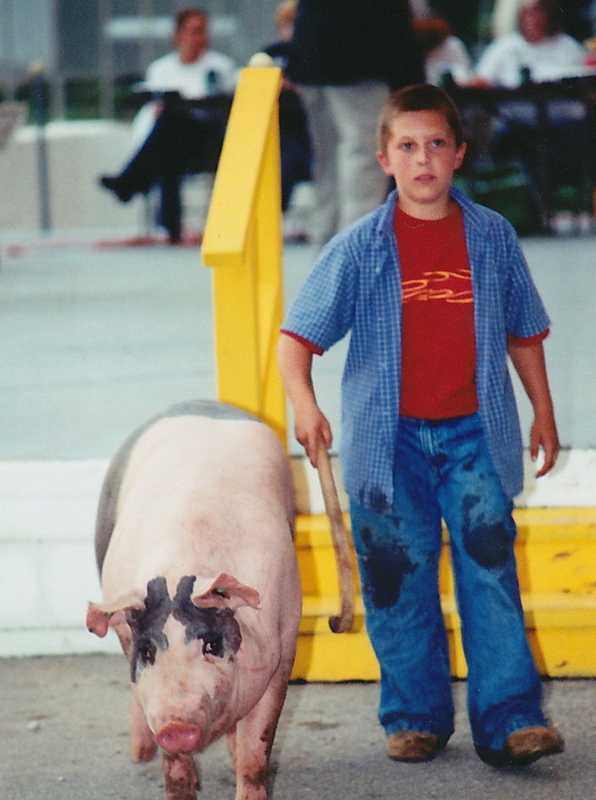 As our kids were growing up, we spent many, many hours at 4-H meetings, the 4-H barn, the hog judging shows and the Livestock Auction on Thursday night of Fair Week. 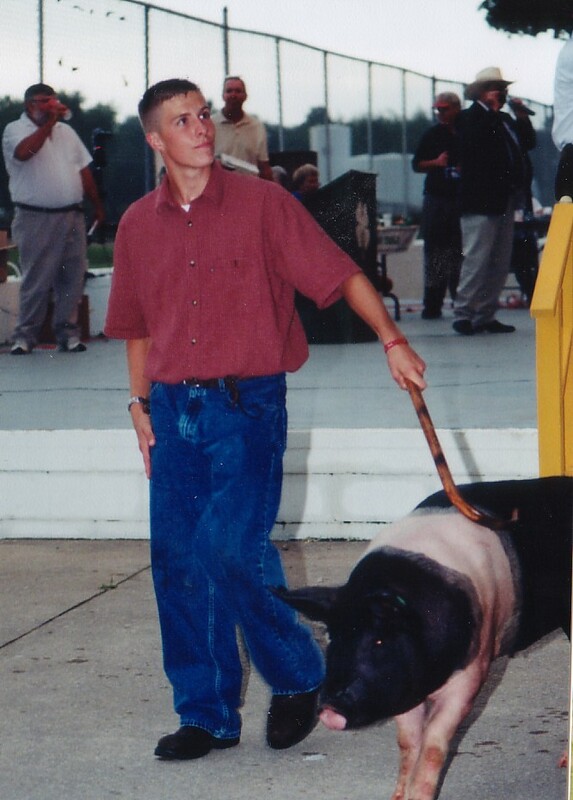 Hurry over from football to the Livestock Auction!! 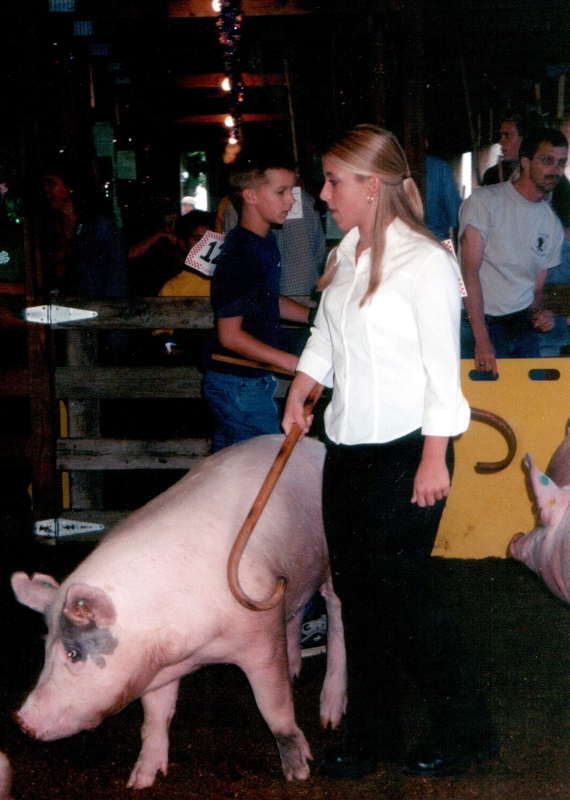 Holly all prettied up to show a pig!! Discussing the “fairness” of the judging!!! 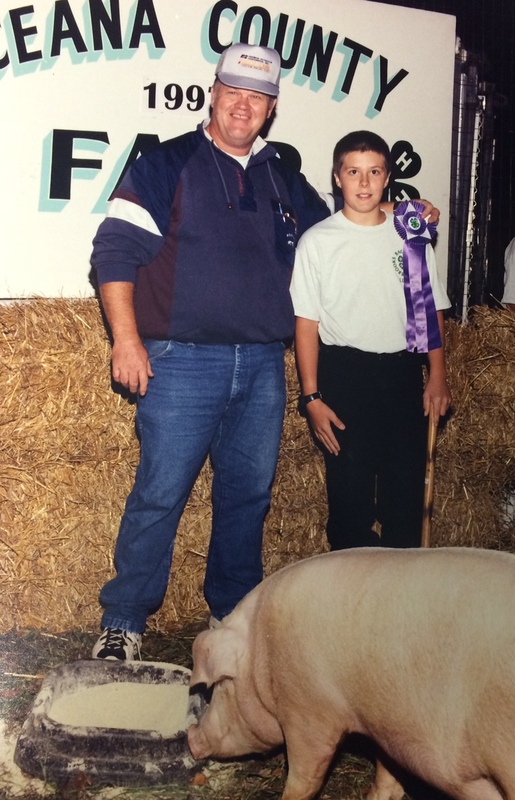 Our garage with many years of 4-H project signs is a fun reminder of Fair days gone by. 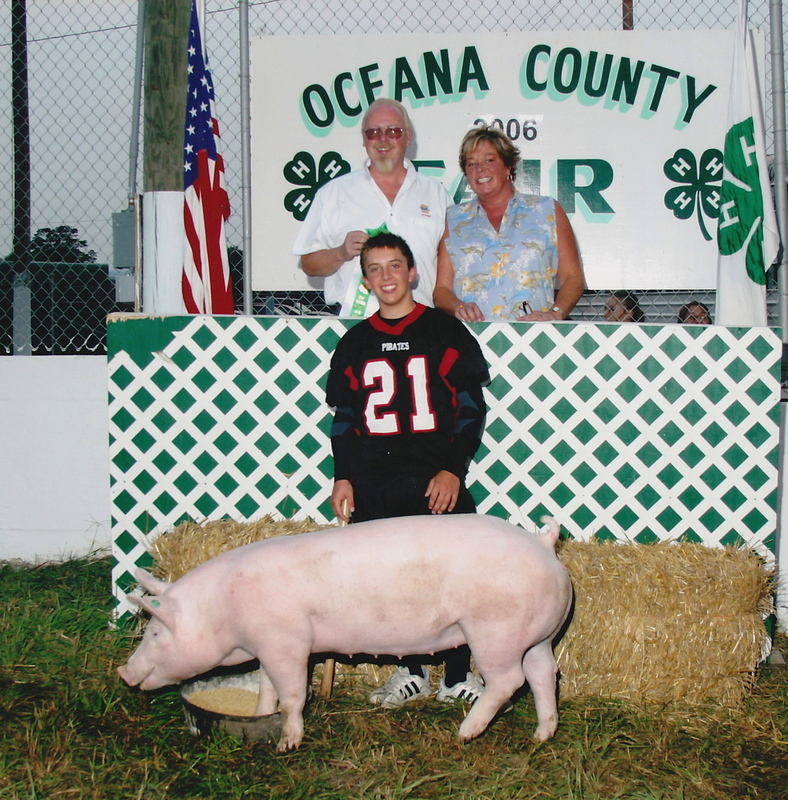 And so it is…the week before us…Grab your sweetheart or a young child by the hand and head for the main gate at the 144th Annual Oceana County Fair. Hug your childhood friend as she greets you at the entrance. Enjoy the warm cinnamon sugar goodness on your lips from that Elephant Ear. Support some local organizations at Bingo and the raffle booths. 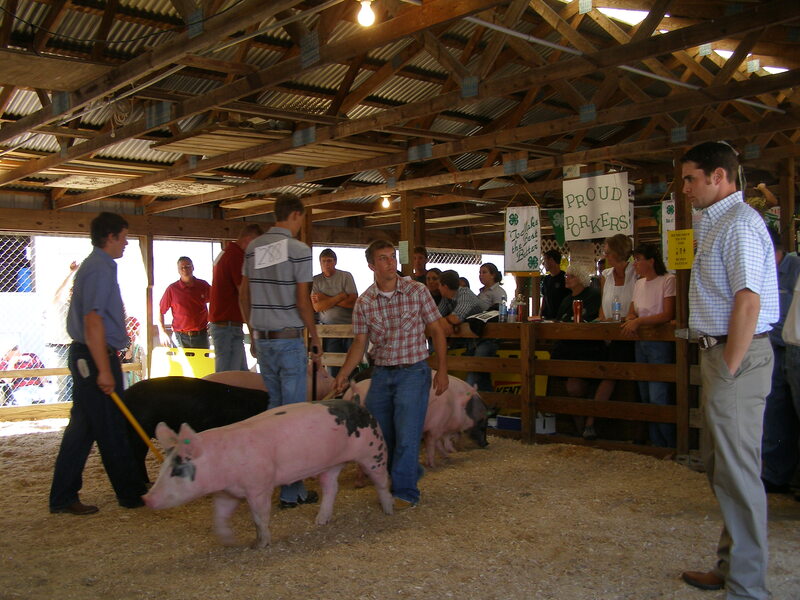 Help a kid out and stock your freezer for the winter bidding at the Large Animal Auction on Thursday night or the Small Animal Auction Saturday evening. Admire someone’s craft or canning projects they spent their time creating. Cram into the Grand Stands on Saturday night for some great laughs and just plain fun, elbow to elbow with your neighbors at the Demo Derby. But best of all, remember, while life isn’t usually fair, this is! Great trip down memory lane. Thanks for sharing. Really nice job writing ths article. 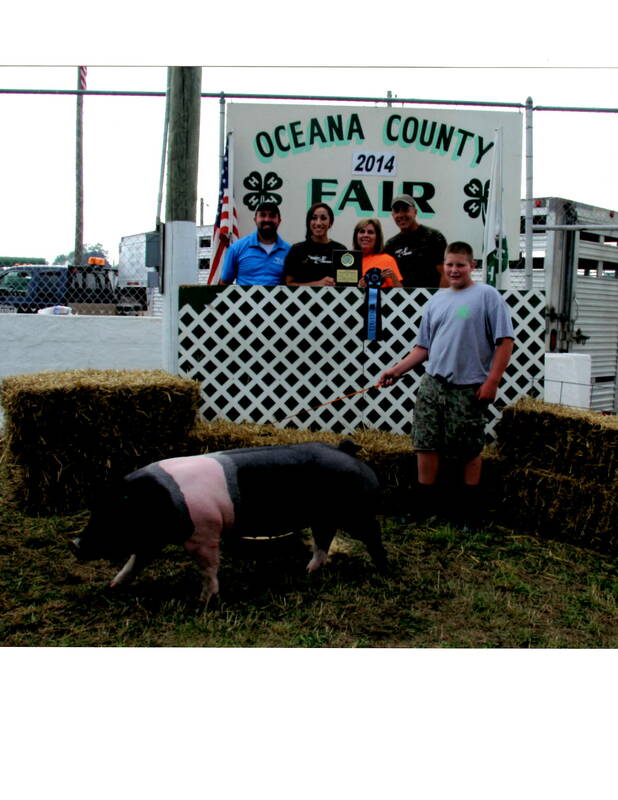 I enjoyed it and I was never in 4 H.
This was fun to read and brought back many memories of attending the Oceana County Fair many many years! I can still smell the carmel corn. Thanks.